Autism Rate Changes to 1 in 59 | Glenwood, Inc.
A new report was released from the US Centers for Disease Control and Prevention (CDC). 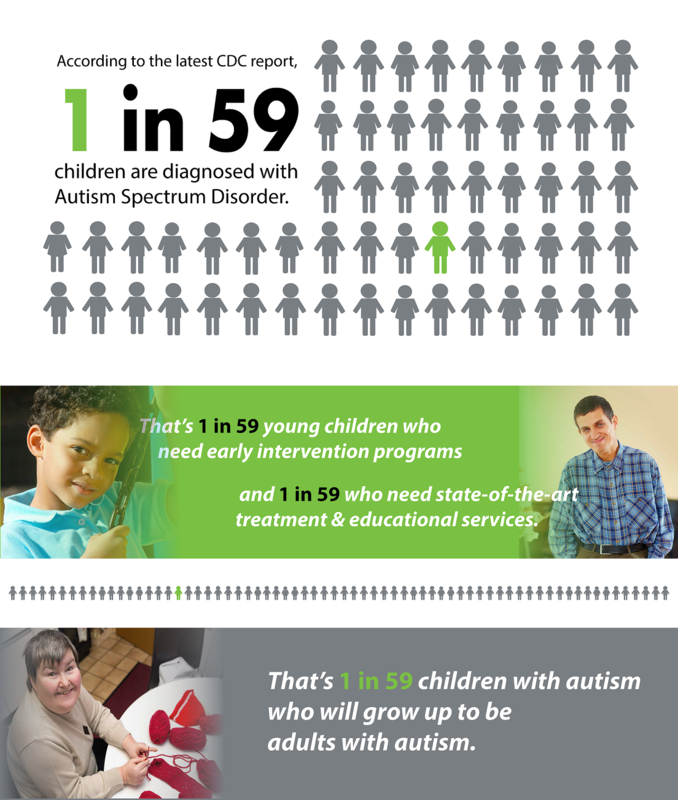 The report estimates that 1 in 59 children are diagnosed with autism spectrum disorder (ASD). The new figure represents a 15% increase from the previous estimate of 1 in 68. The report is based on a study conducted from 2014 of 8-year-olds diagnosed with ASD in 11 communities across the nation that make up the Autism and Developmental Disabilities Monitoring Network (ADDM). Some of the factors explaining variations across the network include “differences in policies that affect access to services and differences in how children are screened, evaluated and diagnosed in those communities,” shares Daisy Christensen, co-author of the new report. Glenwood is a leader in serving families impacted by autism, yet there’s still so much to do. There are many ways you can help through donations, planned giving or volunteering. Contact Linda Baker at lbaker@glenwood.org to learn how you can make a difference. Click here to learn more about the report from the CDC.